The database team of the International Institute for Counter-Terrorism (ICT) at IDC Herzliya publishes a monthly report that provides a summary and analysis of terrorist attacks and counter-terrorism operations that occurred during the previous month. Throughout 2013, we analyzed approximately 500+ incidents, comprised of 300+ major terrorist incidents and approximately 200+ counter-terrorist incidents. The ICT database team analyzed major terrorist incidents in Asia, Africa, Europe, the Middle East, Oceania and the United States, which included suicide attacks, bombings, shootings, kidnappings, hostages, rockets and armed assaults. The attacks ranged from attacks on civilian targets to attacks that specifically targeted government workers, embassies or security services. Among such incidents, we noticed increased activity by Global Jihad linked militants in countries such as Afghanistan, Egypt (Sinai Peninsula), Iraq, Lebanon, Pakistan and Syria, including a surge of militants from Europe attempting to join the activities of Syrian militants from the Al-Nusra Front. There was also increased Hezbollah activity in Syria, which led to spillover terrorist incidents particularly in the form of suicide bombings in neighboring Lebanon and Turkey. 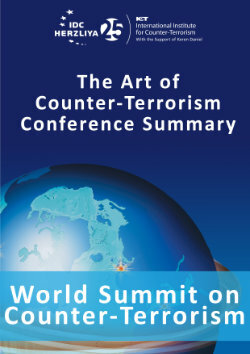 Major counter-terrorist operations, including arrests and foiled terrorist plots, in Asia, Africa, Europe, Middle East, Oceania and the United States were also analyzed. Counter-terrorist operations targeted ‘lone wolf’ militants and militant cells with ties to Hezbollah and Al-Qaeda and its affiliated groups across Asia, Africa, Europe and the Middle East. This report aims to identify patterns and trends of worldwide terrorist activity by examining casualty figures; perpetrators; targets; organizations associated with each attack; the modus operandi and weapons used; and sources of funding. It also identifies the regions where counter-terrorist operations took place and seeks to establish how the threat was managed in that region; whether it was through arrests and subsequent legal action, foiled attacks or intercepted communications. The incidents mentioned in each report were added to over 35,000 previously recorded terrorist and counter-terrorist incidents in the ICT open source intelligence database. 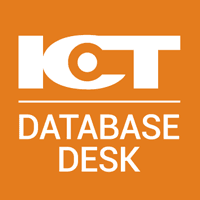 To access the full monthly Database reports for 2013, please follow the link on the ICT Web site . According to the US State Department, a total of 9,707 terrorist attacks occurred worldwide in 2013, resulting in over 17,800 deaths and over 32,500 injuries. It should be noted that since the ICT database team tends to cover only significant attacks in ‘hotspot areas’, such as Iraq and Syria, and major incidents with high casualty figures.